Welcome to Living On A Narrowboat. I hope you find it useful regardless of whether you are a seasoned narrowboat owner or are just taking the first tentative steps towards a life on the cut. Before I tell you more about the site, I would like to offer you a gift to make your search for narrowboat information a little easier. 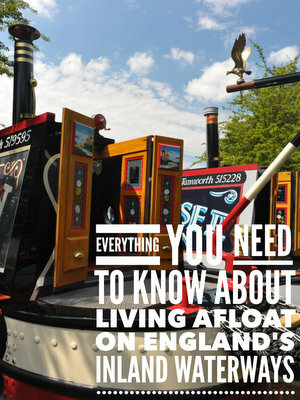 It’s a free guide packed with information about living on a narrowboat and the issues faced by all narrowboat owners. My name is Paul Smith. After fifteen years of managing pubs for a national chain followed by a further decade and a half of running my own businesses in April 2010 I finally started doing something I enjoyed. I swapped a pen for a pruning saw and my car for a ride on lawn mower. I looked after the beautiful grounds surrounding Calcutt Boats two narrowboat marinas on the Grand Union canal deep in the heart of rural Warwickshire. I lived there too. Calcutt Boats’ Meadows marina is stunning. One hundred and forty spacious berths surround a central island wildlife haven. Seven thousand seven hundred trees were planted in two woodland areas in the 1990’s. Footpaths have been developed through the woods for nature lovers and dog walkers who moor on the two marinas. The marina island is less than a hundred metres behind where my boat used to be moored and the largest of the two woodland a reas just a hop, skip and a jump away to the front. I woke up to the sound of mallards quietly quacking (and sometimes tapping on the window for food), Canada geese honking and the sight of a pair of swans cygnets around the reed beds. Much as I enjoyed living and working at one of the most beautiful marinas in the country, I enjoyed exploring the canal network even more. I April 2015 I resigned from the only job I’ve ever truly enjoyed, untied two ropes, reversed off my mooring and set off for a lifetime of exploration on over 2,000 miles of connected canals and rivers in England and Wales. My lifestyle suits me perfectly. I wouldn’t change it for all the money in the world, but it’s not a way of life which suits everyone. This site is a comprehensive resource to help you determine whether it’s right for you. 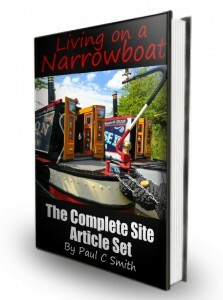 I also added two guides to the site in 2012; Living on a Narrowboat: The REAL Cost of a Life Afloat and Living on a Narrowboat:21 Live Aboard Case Studies. 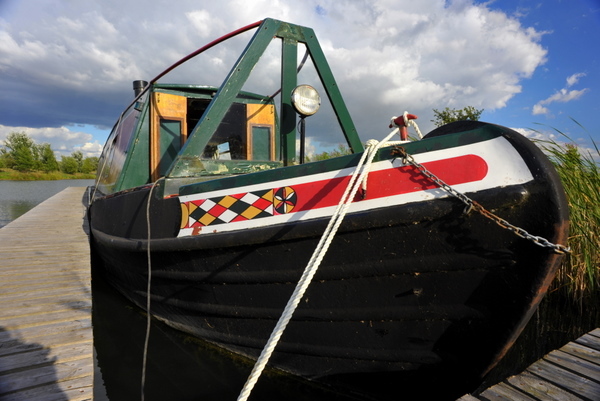 The former guides you through all of the costs you’re likely to face when buying and maintaining a narrowboat, the latter is an analysis of twenty one live aboard boaters, their likes and dislikes and what they consider to be the best configuration for a live aboard narrowboat. In January 2013 I added a browser based narrowboat budget calculator to the site. Narrowbudget guides you through the buying process highlighting areas of expenditure that you may not have considered. The application then leads you through all areas of onboard expenditure and also includes expenditure that you will need to consider if you are thinking about life afloat. Narrowbudget offers you the most comprehensive resource for calculating a water based lifestyle that you are likely to find either on or off the internet. The guides and the budget calculator are now bundled together in my Narrowbudget Gold package. I’ve been told that it’s the most comprehensive guide to the lifestyle and the costs involved available either on or off the internet. You can read all about it here. In June 2014 I added a very popular service for those interested in taking their research to the next level. It’s a combined discovery and helmsmanship training day. Guests join me for ten hours on board my own 62′ long twenty tonne narrowboat which is superbly equipped for living permanently off grid. Guests take the helm for a seven hour, twelve mile, six lock cruise. While they learn the intricacies of handling a flat bottomed boat on narrow canals, we discuss all aspects of living afloat from differing layout, designs and equipment to the logistics of living a life on the water and canal etiquette. You can find out more about my discovery day service here. 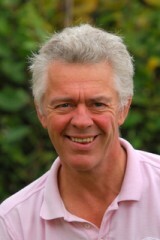 As you can see, there’s a wealth of information on the site if you’re considering buying a narrowboat. I hope you enjoy the site. Let me know if you feel that there’s something missing, and definitely let me know if the site has helped you to decide whether living on a narowboat is right for you.